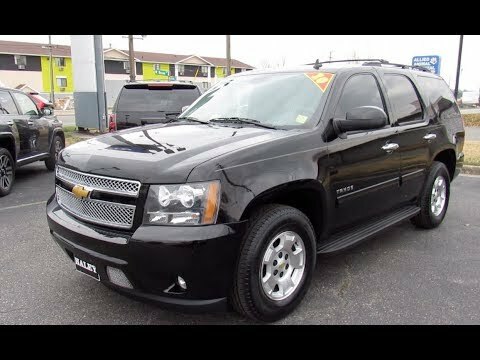 If you have a number of children, tow a boat or horse trailer and like the feel of a substantial V8-powered vehicle, the 2010 Chevrolet Tahoe could be just the ticket. Another plus: The Tahoe's powerful V8 engines offer Active Fuel Management technology and are E85-ready. Very spacious interior, great vehicle. Great handling and power, the ride can be a bit bumpy sometime but overall great vehicle, the interior is awesome and very comfortable nice and quiet ride feels like riding on a cloud, the SUV is great on gas, I can fill up with fifty dollars and it will last me a whole week going to and from work, surprisingly it has great gas economy, I love the towing features it has they can come in handy when needed, if given the chance to buy again I would definitely buy, I absolutely love my Chevrolet Tahoe. Both of the automatic seat buttons. Out of all the vehicles I have had this is the by far nicest and has all features you can ask for, from leather climate seats to pedals that adjust. It fits a comfortable 6 people and yes you can add in the 7th if you would like. The ease of getting in the back is all just a touch of a button and the seat will pop up so making getting in the back very easy. Drives very nice making turns like I was in a car. Overall very nice vehicle only thing it does not have is heated steering wheel. Momma’s hip ride! Tinted & lifted and always has plenty of room. My Tahoe is a smooth, spacious, and comfortable family vehicle. The driver & passenger headrests can be removed. There is a built in DVD player with a remote control. The back 2 seats are removable so you have plenty of fun room to pack up and go camping or pack up beach toys, coolers, and an umbrella for a day to play in the water.